Take Hwy 59 North to Business 59 North to Downtown Nacogdoches. Take Hwy 59 South to Business 59 South to Downtown Nacogdoches. 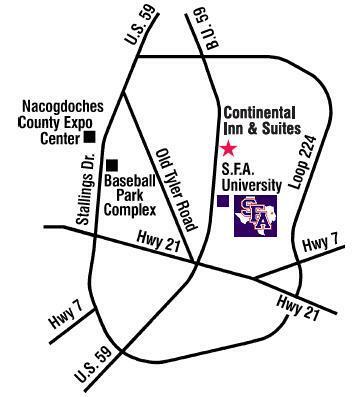 Go 5 miles down and we are located on the left hand side before SFA.